Sometimes, a momentous occasion, or the end of a long week, just simply must be celebrated with a stiff drink. Many times, we find ourselves wishing we had a quick way to add a little bit of our favorite libation to a drink when we’re relaxing on the beach, camping, or attending an event. Drinks are meant to be shared with friends and a custom needlepoint flask is the perfect way to start a conversation to go along with a drink. 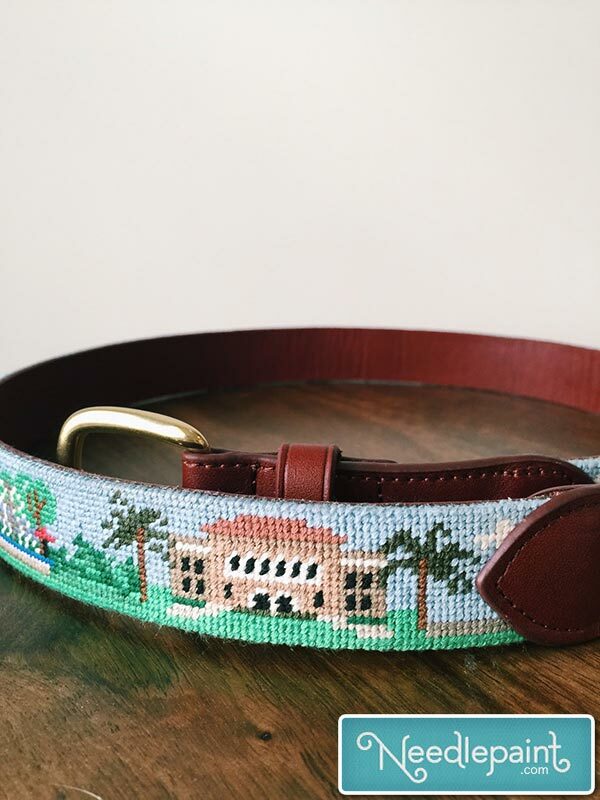 Our needlepoint flasks can be 100% custom designed by you to ensure the personality shines through. Each flask can be designed with a simple monogram, a design of your choice, or a combination of both. 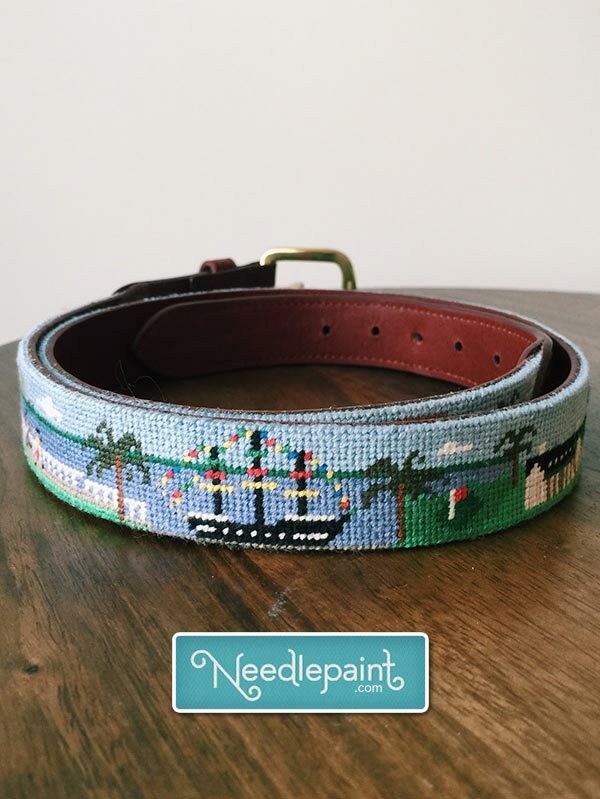 Some of our most popular flask designs have been nautically themed, with anchors or burgee flags, animal themed, with dogs, deer, or birds, or a combination of interests and hobbies. 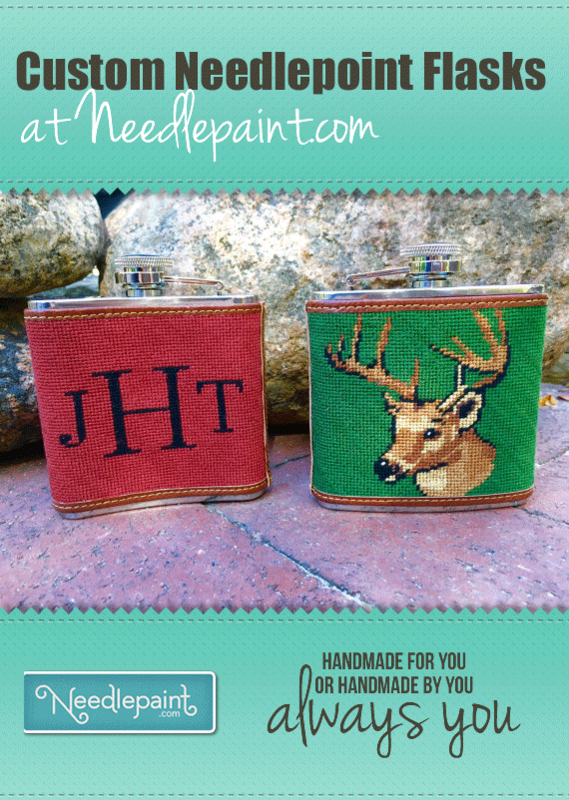 One of the most popular uses for this product is custom needlepoint flasks for weddings. The flasks make great gifts for groomsmen and can be customized to have a wedding design on one side, and each man’s monogram on the other, giving the groomsmen something they’ll be able to use for years to come that will remind them of their participation in the wedding. Flasks are also a popular gift idea for formal events, date parties, or simply for the holidays. We’ve seen many fraternity brothers gift these flasks to each other as “big-little gifts,” or for birthdays and graduations. 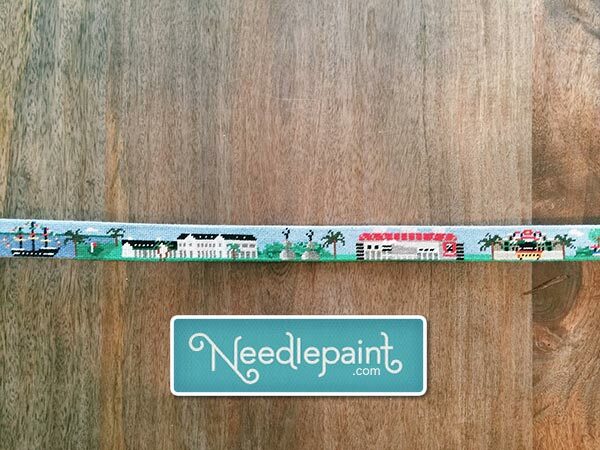 No matter the occasion, we at Needlepaint can provide you the perfect design for your custom needlepoint flask. Check out some of the designs we’ve made and customize your own here! Celebrating a marriage is undoubtedly not only an exciting time for the two people wedding, but it is a great time for others to celebrate their friends’ and families’ new chapter of life. It’s no secret that nearly every detail of a wedding ceremony can be planned, so sometimes it can be hard to find something special to add to an already perfect day. Joanna, from Virginia, knew that she could add a little something special to a wedding day when she stitched a beautiful custom needlepoint pillow for the ring bearers to use during the ceremony. Joanna took a rose idea and turned it into something beautiful! She artfully decorated the roses onto the pillow, with the perfect colors to really bring the roses to life. The names of the bride and groom are stitched nicely into the pillow and accented with a well tied bow underneath. Needlepoint pillows for ring bearers are a unique way to add another bit of accent to a wedding. The gift is fun, unusual, and always loved. After the wedding, the pillows can serve as a decoration on the living room couch, a windowsill, or simply your bedroom. You can shop for this canvas here and create your own rose pillow customized with the names of the bride and groom. We’re also happy to send you the pillow fully-stitched, ready to be used in your wedding or gifted. Our needlepoint pillow designs are not limited to roses – look at all the designs we’ve worked on, or reach out to us to create your own custom canvas design or finished pillow.